On Friday night 25 May the temperature in Amsterdam reached tropical numbers. 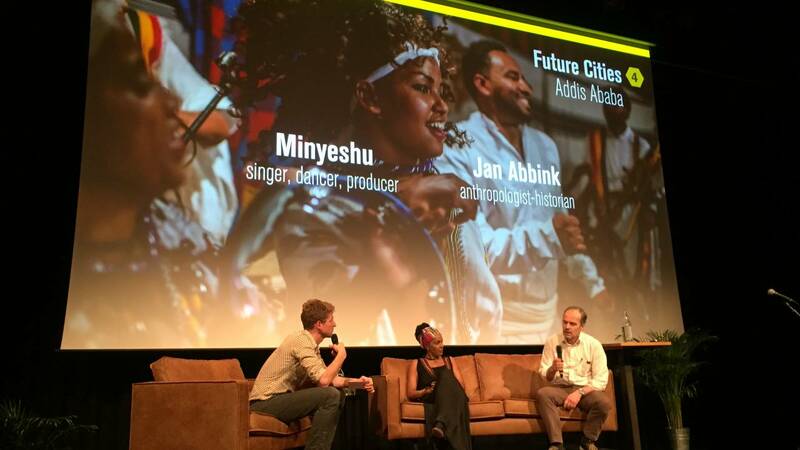 A perfect evening to launch the fifth Future Cities city: Addis Ababa. A substantial crowd gathered to listen (and watch!) to the stories of Melaku, Ayen and Henock, three of the protagonists from Addis Ababa. 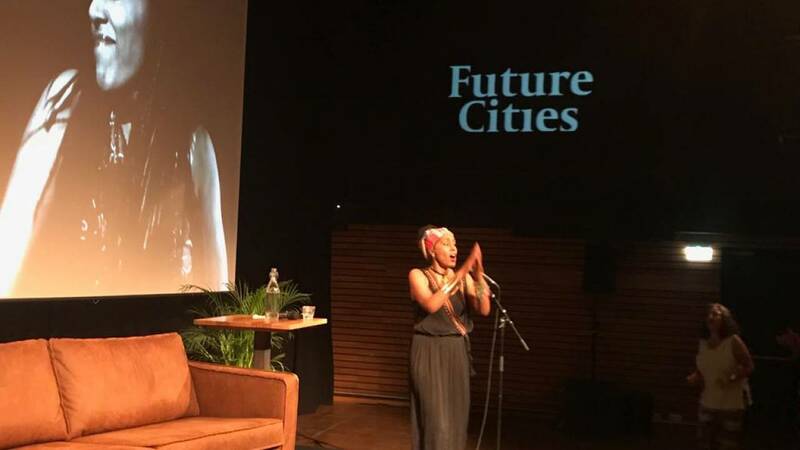 Minyeshu, singer and performer, spiced up the show with beautiful Ethiopian songs and lead a collaborative dancing session from the stage. The whole audience ended up making Ethiopian moves. 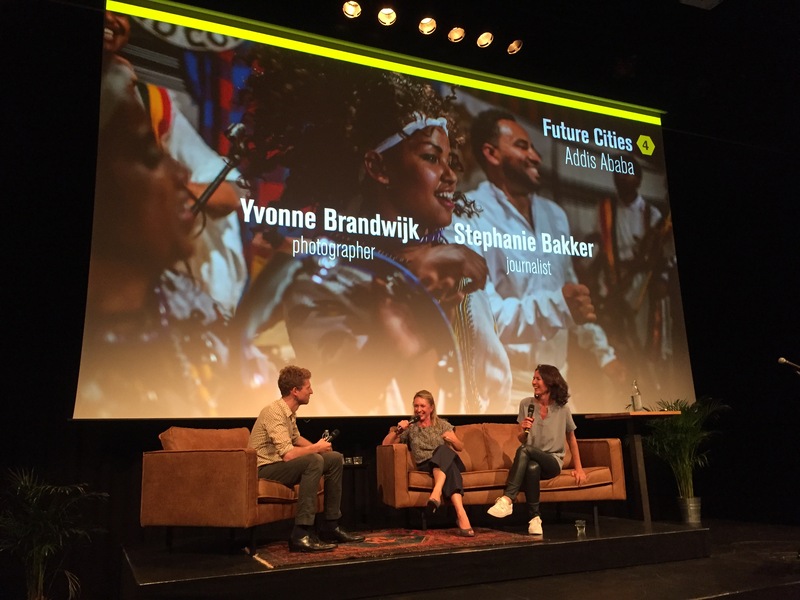 Jan Abbink, anthropologist and historian, shed a light on the context of urbanisation in African cities and Addis in specific. We finished the evening with Ethiopian beer. A perfect evening!